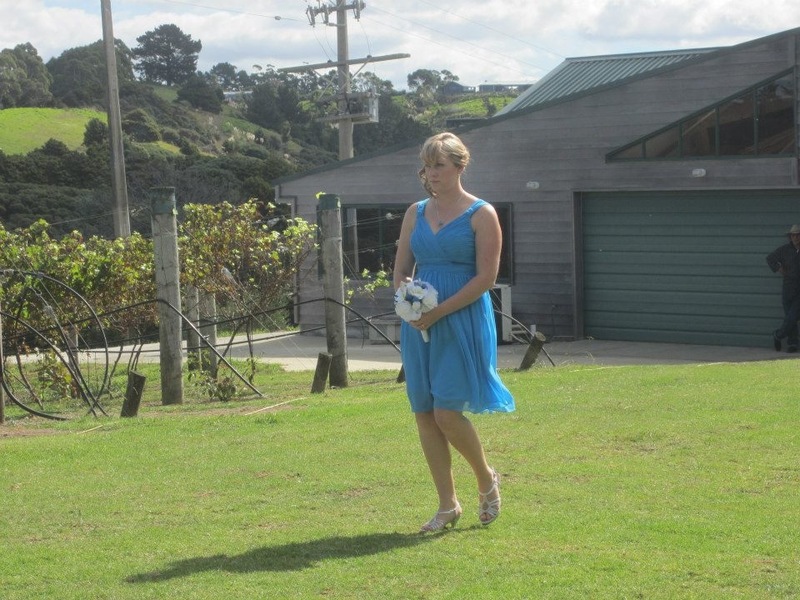 A wedding, news and excuses! I know it’s been a while, and I’m really sorry. There’s been a lot going on and writing is really at the bottom of the priority list. It’s also quite hard to write when you haven’t been doing anything to write about. There have been three occasions where I’ve created quite fabulous cakes, but that’s been about the extent of my sewing and baking. 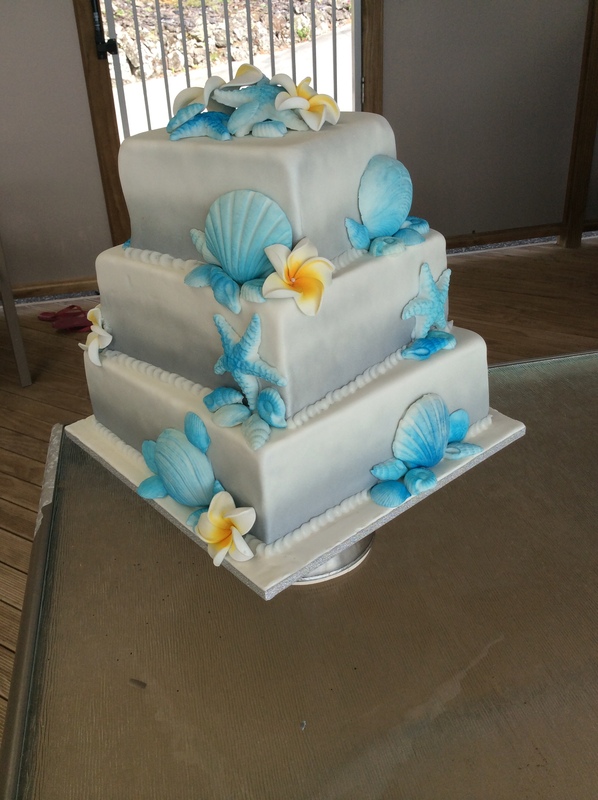 The latest cake was a wedding cake, my very first, and the stress involved in that made any other form of baking entirely horrific. I couldn’t do anything! The cake was for a very good friend, and honestly I don’t know if that made it easier or harder. All I could think was what if she hated the cake and it ruined her whole wedding for her! As it turns out, she was super happy and the cake was very well received with everyone at the wedding (or at least so I heard, no one’s told me otherwise!) 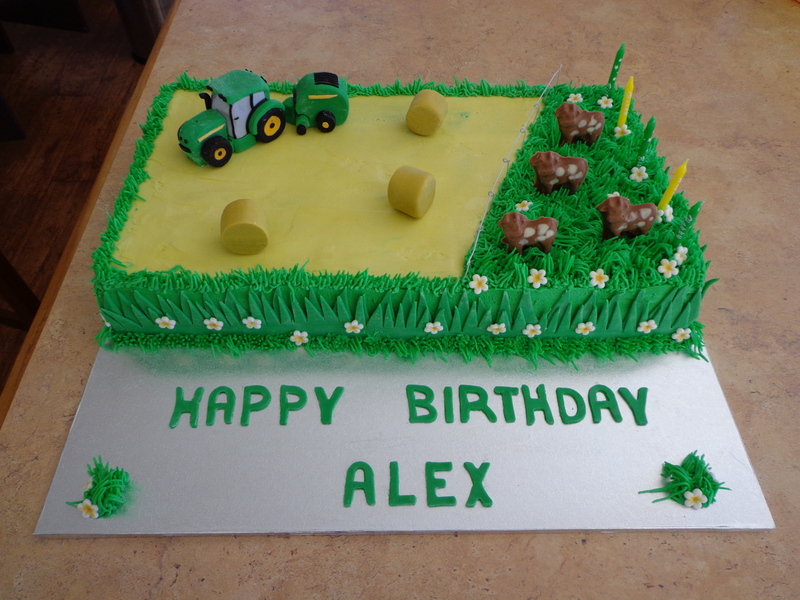 It was three tiers (my first ever this big!) with chocolate mud cake on the bottom and top tiers and white chocolate mud cake in the middle. Raspberry coulis between each layer all covered with ganache then fondant. 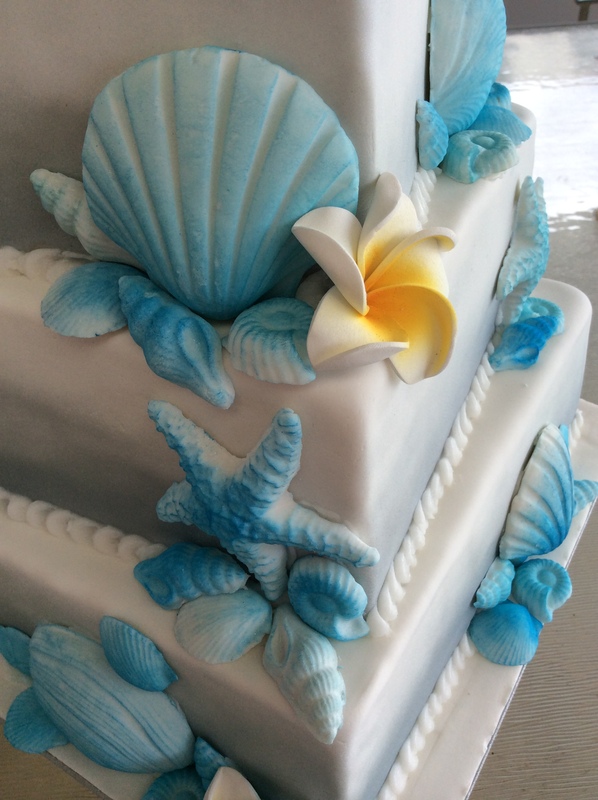 I used silver spray paint (edible, by Wilton, I just can’t remember the name) to paint each tier, fading it up towards the top. As it turns out my husband was much better at this than me, I only wish I’d known that before I’d already done two of the cakes! The shells were fondant, pressed into chocolate moulds, which worked really well, if you didn’t mind mostly destroying the moulds after a few batches. It was so hard to get them out! I dusted well with cornflour but to no avail. They are still kind of usable, but I’ve gone from a five starfish mould to a three, the rest is pretty broken and battered. One massively useful tip for this, put them in the freezer! Much easier to get out. After the moulding and a while drying I dusted them with a selection of colour and lustre dusts. That was kinda of fun. I used a big poufy make up brush and kind of buffed it on. The dust went everywhere and my kitchen and I were blue for a while, but it cleared up eventually. I’d done this cake (a smaller version) as a trial for my Mum’s best friend’s 60th a couple of months before and had used a silicon mould to make the frangipani flowers. But they just didn’t look that flash (photo below). So this time I used fake flowers, which were also used in the centrepieces on the tables (for continuity). In the end, the cake was a bit wonky in places and I wasn’t entirely happy with that wonkiness, but I was very happy overall. 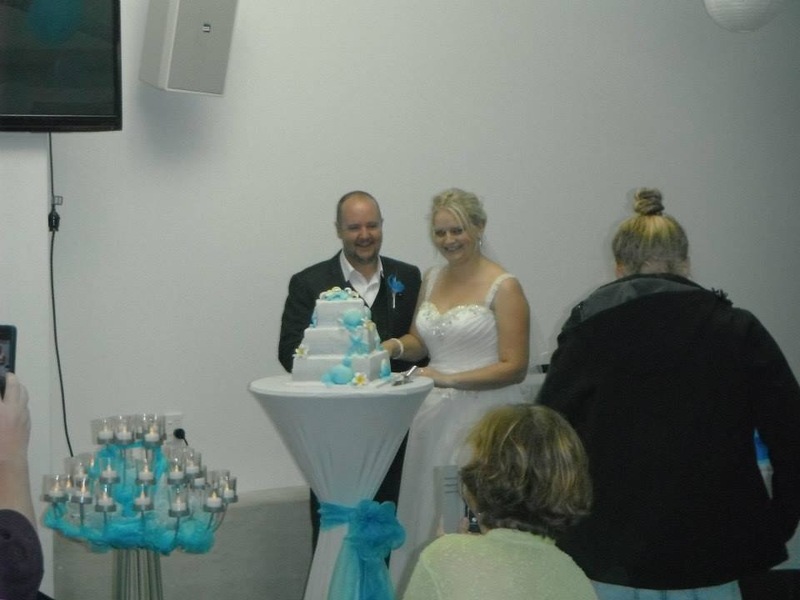 I was even happier when it was finally completed and delivered to the reception venue and it was no longer my concern. 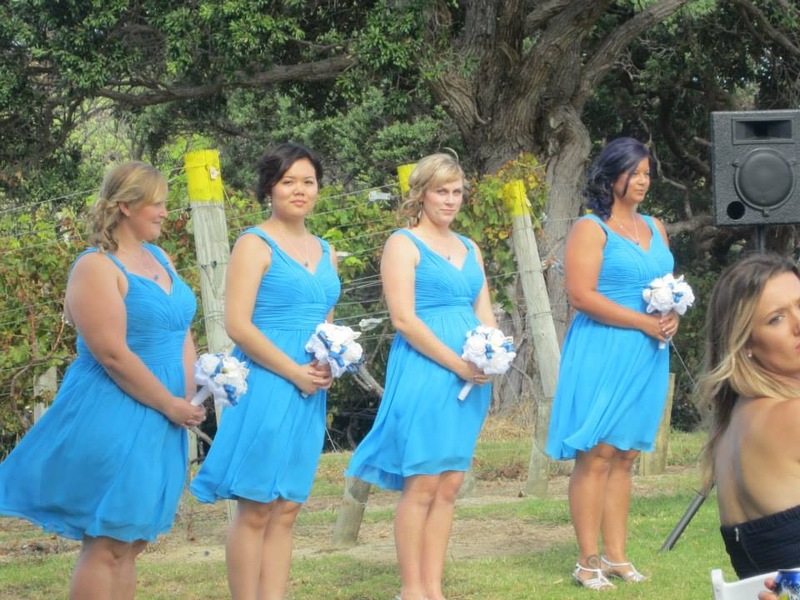 I could then go about normal bridesmaid duties and actually enjoy the occasion! So back to the cakes. 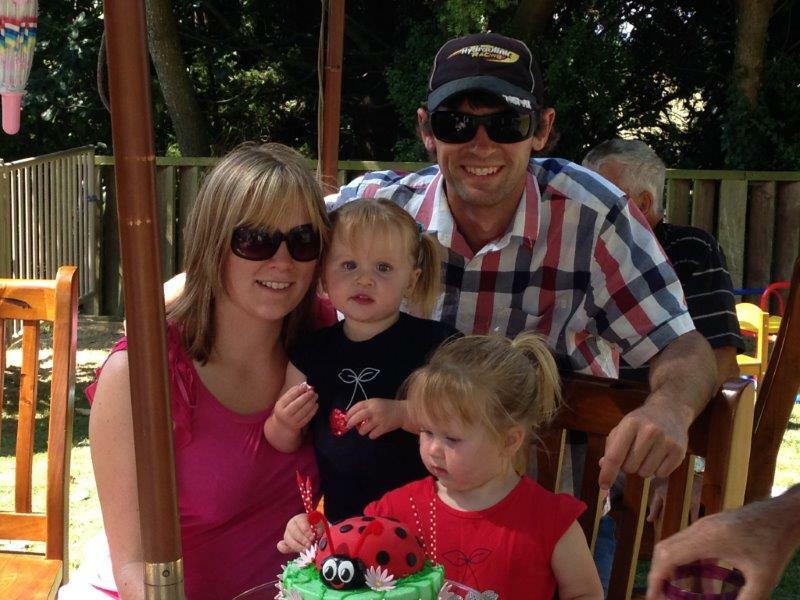 As well as the wedding cake we had a momentous occasion in our household when my baby girls turned two. 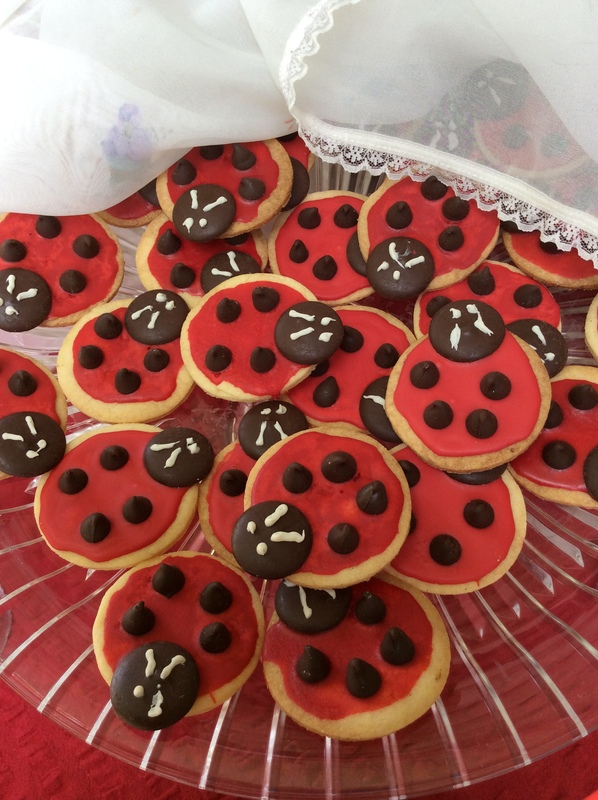 We had a small party for friends and family and as it wasn’t a really big one I didn’t want to use a fantastic theme up for it, so I went for a low key ladybug theme, which in honesty was a great theme and really easy and fun to work with. 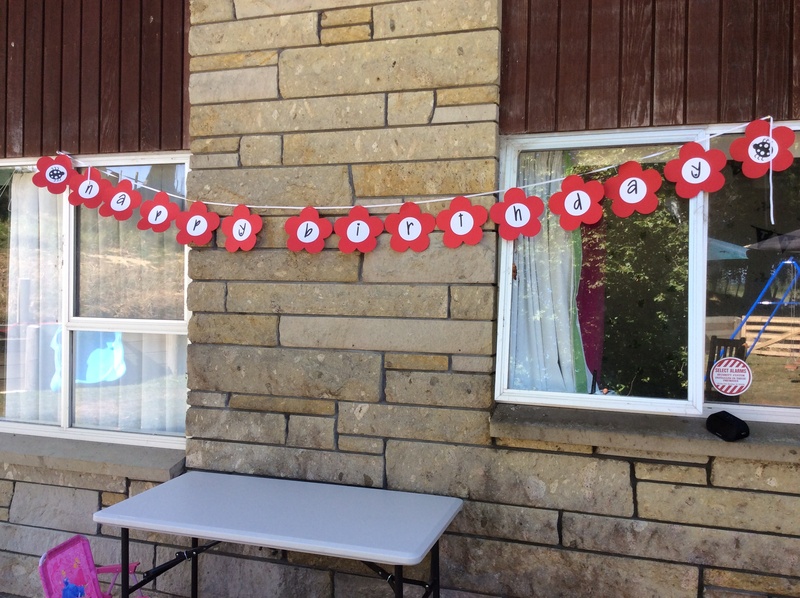 I also made a cute Happy Birthday banner using printed letters off the computer, cut out in circles and stuck to red flower shapes. Ladybug cookies and crackers (crackers with cream cheese, half a cherry tomato and a piece of olive – no photos unfortunately), red cake pops (disaster in the hot weather, and just all round failure!) and some red and white spotted balloons for good measure. So until next time, and hopefully it wont be that far away now I”m starting to feel a fraction better! I hope you enjoyed reading and maybe got something useful out of it. 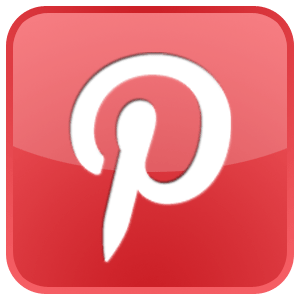 Or maybe you just liked the cute picture of my kids, either way, please remember to comment, like and follow me on Facebook! As promised, just a little bit later than promised, a post about my Christmas baking! Four recipes today, two that are pure Christmas and the other two ideal to make anytime! 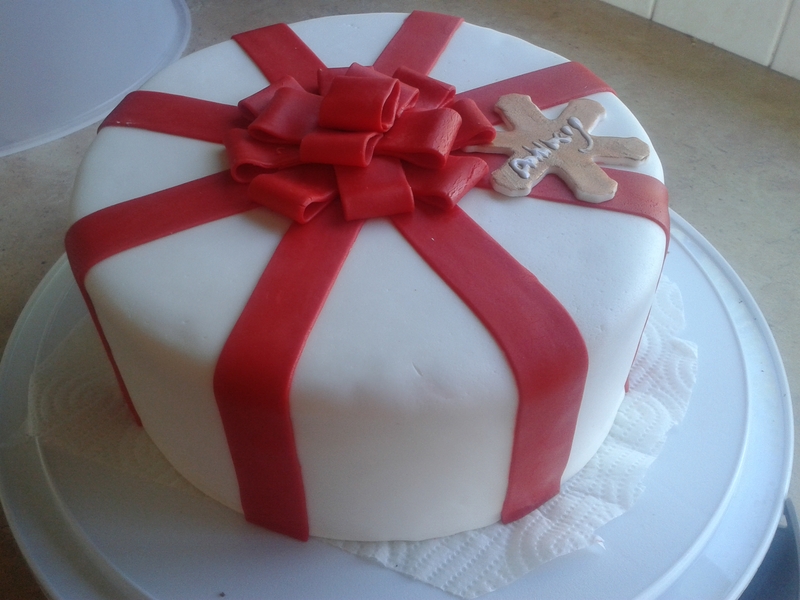 The first is the basic Christmas Cake. A warning on this recipe, you need a BIG tin, or two smaller ones. It makes A LOT anyway! You’ll also need to line the tin with a few layers of newspaper or something before your baking paper lining to help protect it. I make this cake in my soup pot because it’s the only thing I have big enough to hold all the fruit. The best thing about this recipe is its all over with in less than a day, you don’t have to stew the fruit for weeks beforehand like some Christmas cake recipes I’ve seen. Boil this for 10 minutes and then cool. Bake at 3 ½ hours at approx. 130°c. Test with a knife. When cake has cooled pour over a couple of spoons of whiskey or sherry. Leave in the tin until quite cool. Next up, probably my husband’s favourite of my baking recipes. 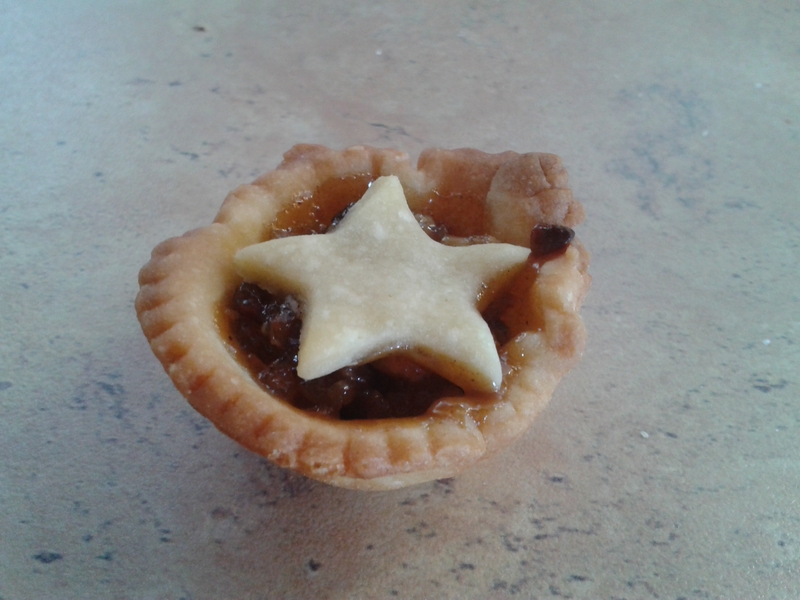 The Christmas Mince Pie. Throw it all into a pot (I make several quantities at once and again I use the soup pot), melt the butter down, mix it up. It’s that easy. I then put it into hot sterilised jars and seal (because I make it way in advance). If you wanted to use straight away you can just melt the butter separately and mix that into the fruit (it doesn’t all need heating). Turn out onto floured bench, gather into a ball. Roll out two thirds of the pastry and cut rounds (x24) larger than the holes in a mini muffin tin. Fit the pastry into the tins, spoon in some mince. Roll out remaining pastry to make tops. I make little stars (as you’ll see in the picture. You can do whole tops if you’d like, or maybe you have another Christmas themed cutter you can use). Bake approx 20 minutes (I notice where I have the recipe written it says 25 minutes, but in honesty I only do mine for 18 minutes – but then I have an often cranky oven). These pies freeze really well also, so you can make them well in advance. Or you can be like me and have three jars of mince (equal to 180 little pies) left to use in the week before Christmas. Clearly I’m not as organised as last year. Oh and 180 pies isn’t that many, not when you see how fast they get eaten! Now, the next two recipes are truffles and as I said earlier, these make great anytime recipes! I tend to make them when I’m going to someone’s house for dinner. They are quick and easy and most importantly, delicious! Place cream and chocolate in a heatproof bowl over a pot of simmering water. Stir until chocolate has metled. Remove bowl from heat and stir in lemon zest and essences, then coconut and almonds. Chill until mixture is firm enough to handle (45-60 minutes). Roll into small balls (small is good because they are SO rich! 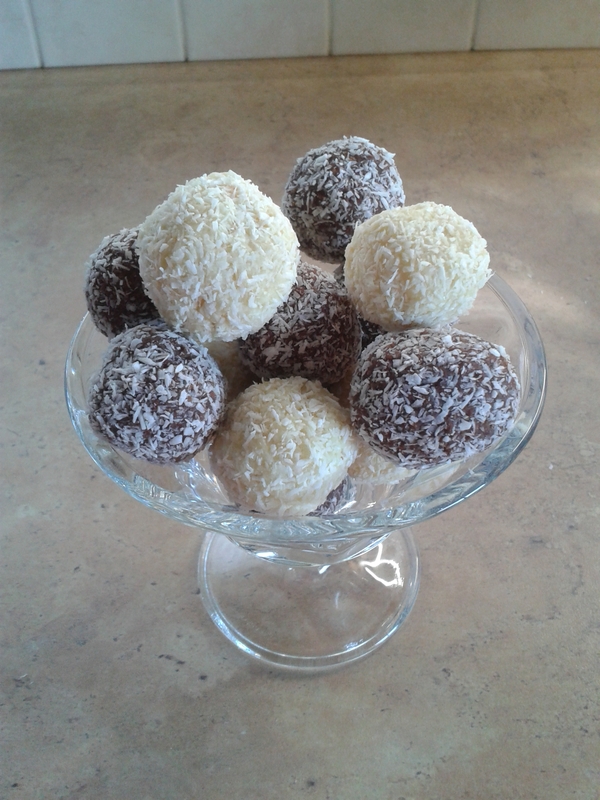 ), then roll in coconut, icing sugar or white chocolate to coat. Store in an airtight container in the fridge. The next truffle is a Chocolate Coconut Truffle. Put the biscuits in that trusty food processor and whizz until crumbs (you could smash them with a rolling pin while they are safely encased in a plastic bag if you need the therapy, but to be honest its hard work and I’m lazy). Add the remaining ingredients, except the extra coconut and whizz some more. Put in the fridge for a little while (10 minutes or so) then roll into balls and coat with coconut. Store in the fridge or freezer. I’m just going to note here, that normally I don’t like coconut in things, but I do love these chocolate coconut truffles. How very strange! How are you? Busy, busy in the lead up to Christmas I bet! We sure are. Today I am bringing you my latest cake. 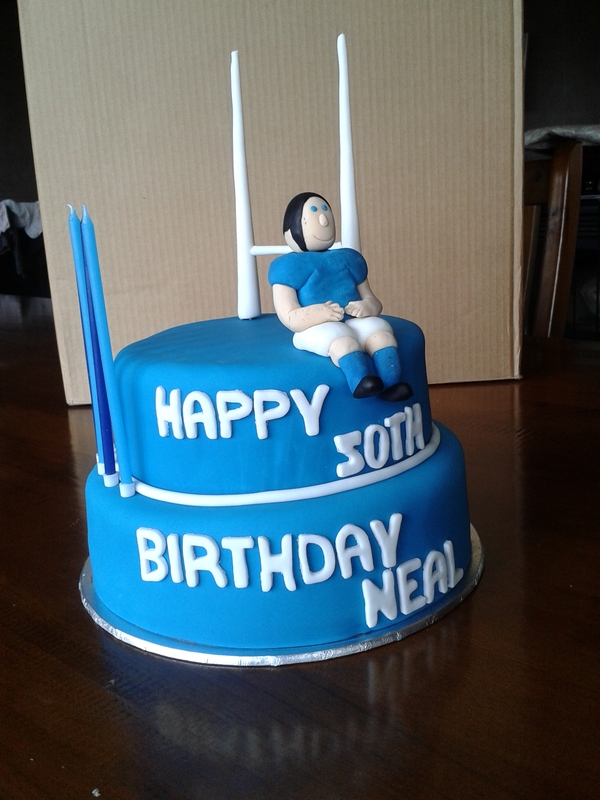 I was asked months ago to create a masterpiece for a 50th birthday party. It was actually my life coach and owner of my gym that asked me to make the cake. She’s the one tasked with keeping me sane (poor woman! No really, she is fantastic and I attribute all of my dealing with depression to her). The party was for the gym’s floor manager, Neal, and it was all about rugby (at a rugby club, everyone dressed up etc). I’ll be honest here, I’m not much of a rugby person. This cake was going to be hard! I had many ideas in my head and as the day got closer I narrowed it down, but then came the actual execution and that wasn’t so successful. In the end, the cake looked great, just nothing at all like I’d originally pictured. One thing I wanted to do, because I’d never done it before, and of course this is all about personal development and growth, was to make a person. It actually turned out awesome, except for the fact that he was seriously out of proportion. Whoops! Today I had a wee revelation. It’s now October, which means winter is well out of the way. And this year, for the first time in many, many years (probably, might not be quite so many, memory ain’t what it used to be!) I made it through those cold, miserable, wet months without having a major bout of depression (or any depression at all really). It wasn’t easy. In fact it was really hard work, but I made it. And I’m so excited about it! (First, a snippet of explanation): Since a lot of the baking I do is just experimenting (and I do a lot of it) I can’t do a full on post for every thing I do. Also, I have a lot of ‘back issue’ things I’ve tried, that I’d like to share… So without further ado, here is a lovely little gallery of some of my past baking accomplishments, ranging from just a little while ago to years ago 🙂 Enjoy! A pink and blue cake to celebrate our antenatal coffee group’s successful first year of parenting! My first ever attempt! Cupcakes for my best friend’s birthday, a few years ago now. Lemon Curd Cupcakes I made for Mum and her friends when they called in one day. I used some cake sparkles and fondant flowers to decorate. 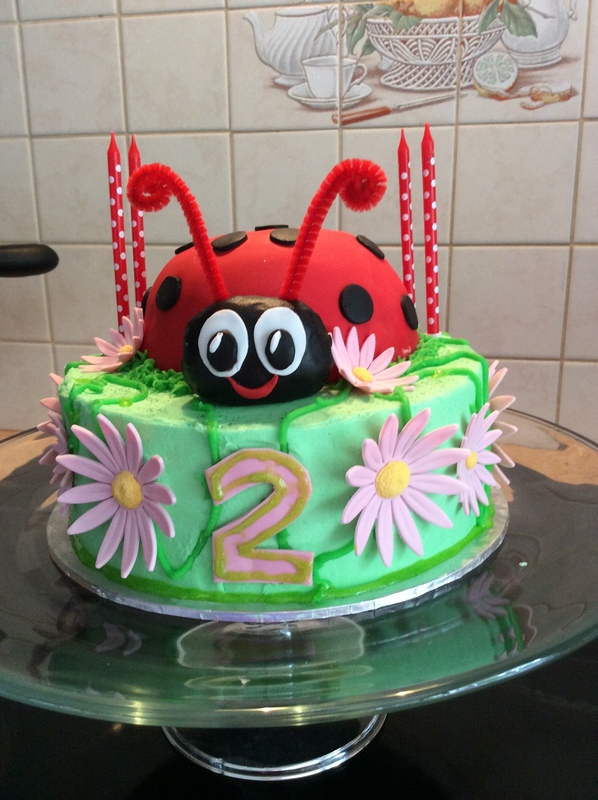 The twin’s first birthday cake – A giant cupcake!